The U.S. has launched a Section 232 national security investigation into foreign automobile imports, reports Reuters. Why it matters: President Trump used the same law to set the first round of steel and aluminum tariffs in March. 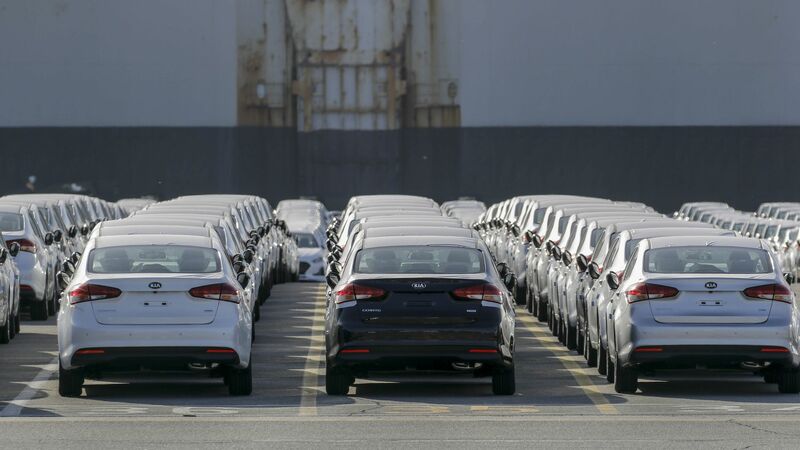 If this probe results in tariffs on auto imports, it will hurt China, which is looking to crack the American market, but it will also deal significant blows to U.S. allies Japan and South Korea. The details: The probe will "investigate whether vehicle and parts imports were threatening the industry’s health and ability to research and develop new, advanced technologies," per Reuters. QuoteThere is evidence suggesting that, for decades, imports from abroad have eroded our domestic auto industry. The backdrop: The investigation comes as trade tensions between the U.S. and China are beginning to dissipate. Gao Feng, China's Commerce Ministry spokesperson, told reporters, “China opposes the abuse of national security clauses, which will seriously damage multilateral trade systems and disrupt normal international trade order."